The downside of group tours is the defined time you have to spend in one place. We woke up to see the Hassan II Mosque in Casablanca, caught a train to Rabat, spent the afternoon wandering through the sites before hopping on a train to Meknes. 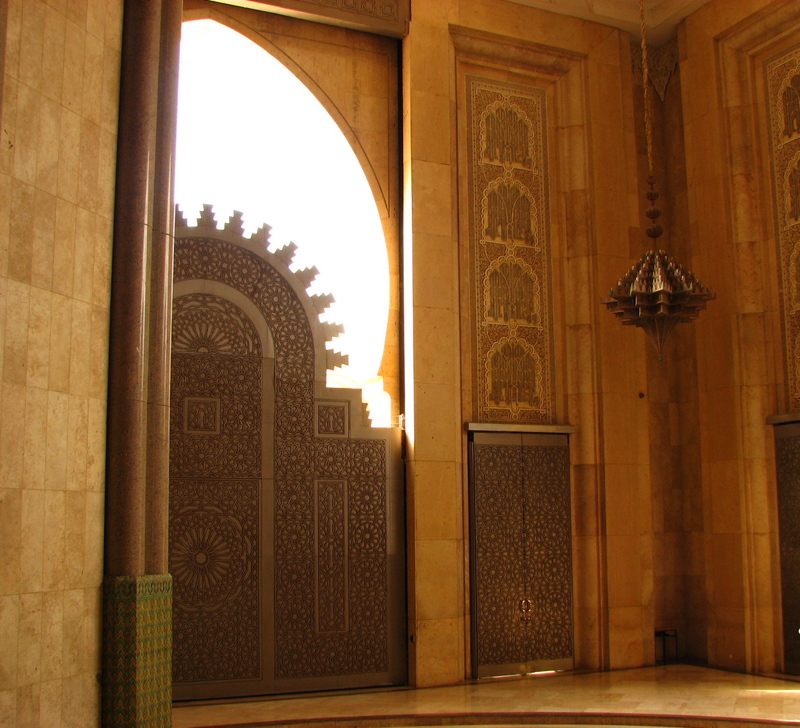 While beautiful, visitors can only enter the Hassan II mosque in Casablanca by joining a guided tour, at the hefty rate of 110 Dhs per person, and only at certain times throughout the day. 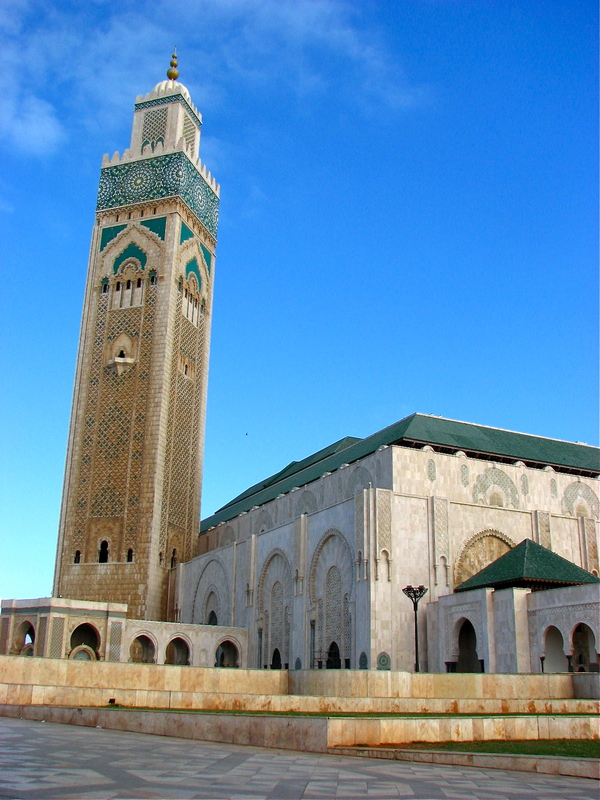 This is also one of two mosques in Morocco that non-Muslims can visit. But the outside is as gorgeous as the inside. 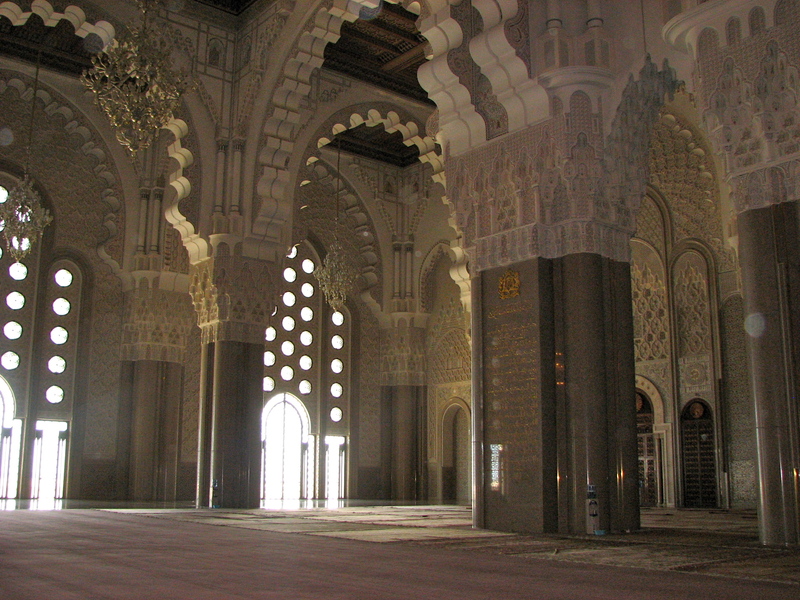 After a whirlwind visit of the mosque we boarded a train to Rabat, less than one-hour away. 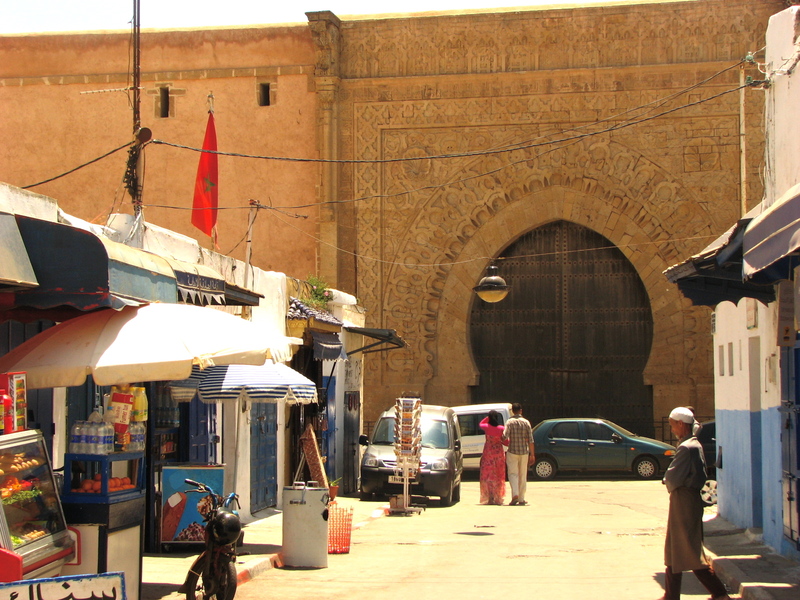 Rabat is the capital of Morocco, and in my opinion, often overlooked by tourists. Certainly the organizers of my tour thought so as we had just a mere few hours to explore this imperial city. With the pretty little Andalusian Gardens to wander through and Cafe Maure to sit and enjoy views of the Atlantic Ocean, and the old Kasbah Oudayas to wander through, and the architecture at the Mohamed V mausoleum and Tour Hassan, I could have easily spent the day here. You see, I’m not the race around to every site kinda traveler. Oh no, I much prefer to soak up the atmosphere and enjoy the moment. And this day opened my eyes to a whole new style of architecture, one that I would admire in the days to come. I’ve since been back to Rabat for various reasons and always enjoy my time there.